COOKING! I miss it SO much! I miss making eggs in the morning and guac on a religious basis. I miss roasting vegetables and making nachos with Drew (that one is a double whammy because it involves food AND DREW!). Who knew not cooking for a month plus would be so hard. The closest I get is mashing avocado to put on a rice cake or heating up a bowl of quinoa porridge (that sentence is so sad lol). I have been staring at recipe blogs with my mouth watering for weeks... not only for the food but for the process behind it. I miss concocting things, getting my hands dirty in the kitchen, trying out recipes and doing the dishes! 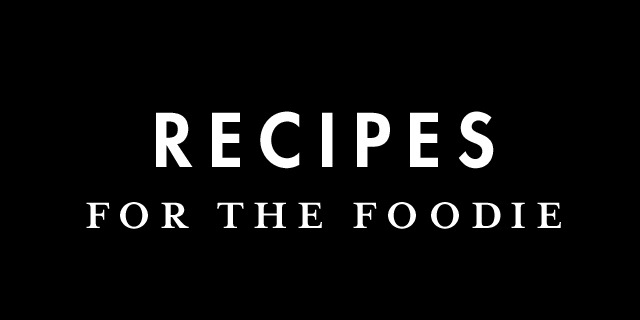 In lu of being able to make my own food I figured I would share some tantalizing recipes from some of my favorite blogs for all of you to create (I am jealous beyond words). Smitten Kitchen made a fake Shake Shack Burger! I MEAN... yes please. On the lighter side of things Love and Lemons made a fresh summer pasta with avocado! I want to try this on lentil or black bean pasta! My New Roots just deep fried veggies and made them sound incredible! What are you cooking!? What are you craving? Personally a nacho night sounds like everything I need in life, alas it will have to wait.